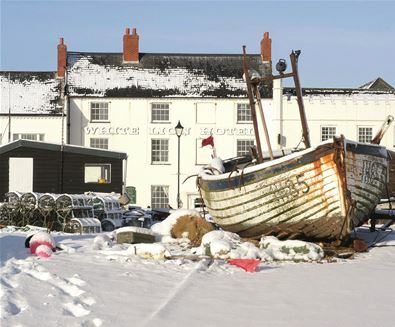 It's not too late for the whole family to enjoy Christmas on The Suffolk Coast! 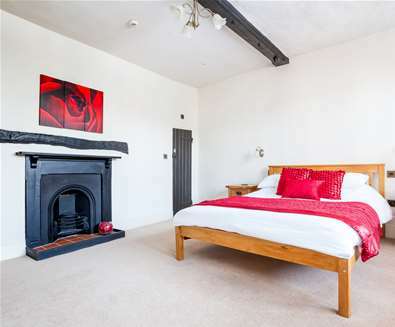 Sleeping 11, 9 The Whinlands is a Grade II listed property set over 3 floors - so there's plenty of room for everyone! There are 5 bedrooms, a large kitchen (with plenty of room to cook and carve your turkey), a dining room for you all to enjoy Christmas dinner and a spacious living room with enough room to house all your presents come Christmas morning. Located in Thorpeness, you're guaranteed a magical stay; with a stroll around the Meare to walk off those mince pies and a visit to the beach to blow away the cobwebs on Christmas morning. The property is dog-friendly too, so your family pet needn't miss out on the celebrations at this special time of year. For more information and to book, visit www.holidaycottagethorpeness.co.uk/ or call 01728 748478. 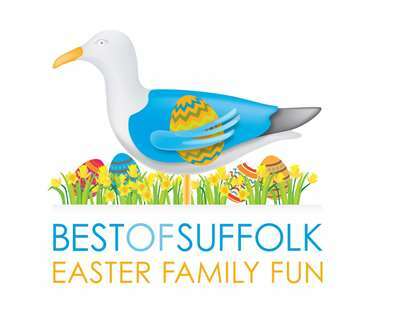 If you want a hassle-free Christmas, then a break with Best of Suffolk is just for you! The properties available come with a range of items including a decorated Christmas tree, fireplace to hang your stockings on, well-equipped kitchens for cooking your Christmas dinner and flat-screen TVs for watching the Queen's speech. 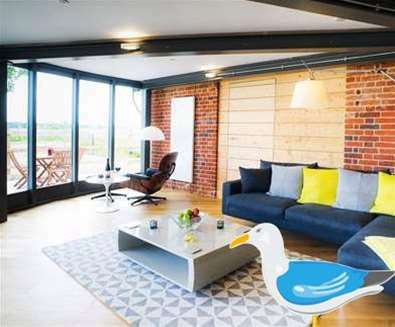 With everything from cosy cottages on Aldeburgh's High Street, designer upside down houses with magnificent views, large family homes with roaring fires and luxury apartments to choose from. 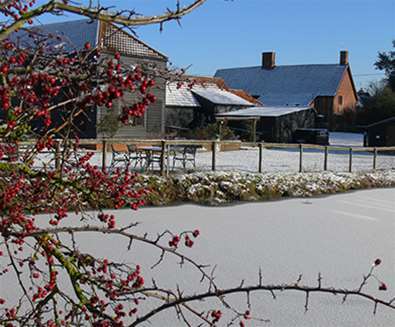 Just a short walk from the village of Snape, you will find The Granary at Croft Farm; which is available for the Christmas period for a family or couple. 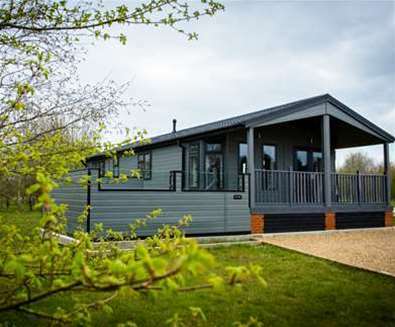 Sleeping 5, it has a spacious kitchen and dining area for your Christmas Day breakfast and lunch and a cosy lounge for opening your presents come Christmas morning. If the children don't have enough toys to play with, they can keep themselves entertained in the barn where there is a full-size tennis table. Your four-legged friend can join in the festivities here too as both The Granary and The Forge are dog-friendly. For more information or to book, visit www.croftfarmsnape.co.uk, email info@croftfarmsnape.co.uk or call 01728 688254. 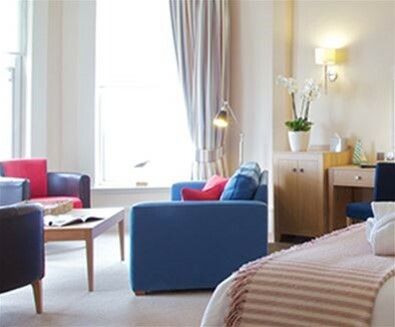 Spend Christmas by the sea and let someone else do all the cooking with a stay at The Crown Hotel Southwold. 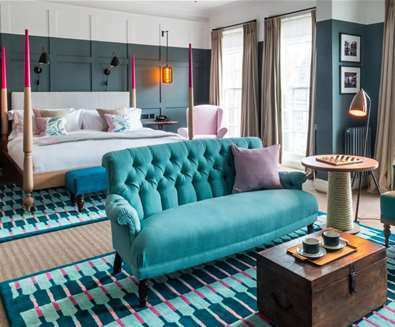 There are 14 stylish bedrooms, including a spacious suite which is ideal for families. The 3-day festive foodie experience start on Christmas Eve with mulled wine or a gingerbread latte and mince pies followed by canapes, bubbles and a 2-course dinner then a classic Christmas movie screening at The Swan. If you have any room left, Boxing Day starts with a full English breakfast and £40 per guest dining credit to dine how you wish. In the evening, walk along the High Street to The Swan Hotel for a night of our Jazz and acoustic music and a celebratory glass of Champagne. 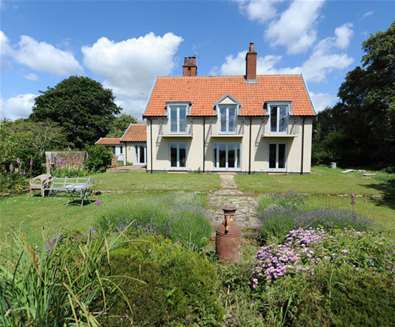 With over 80 self-catering properties located throughout The Suffolk Coast, Durrants Holiday Cottages have something to suit all party sizes. 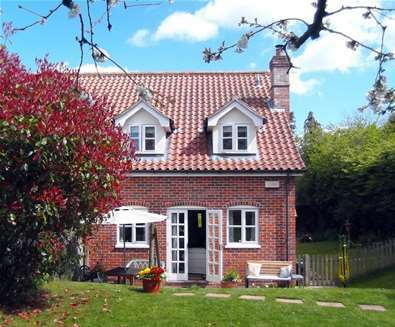 For a stay in the seaside town of Southwold, check out Puffin Cottage; a chocolate box property on South Green. Sleeping 4, it's within walking distance to the beach for your post-Christmas lunch walk, and the pub if you fancy a pint of Adnams to wash your dinner down. For a group of friends or a family, Strathmore sleeps 8 and boasts spectacular sea views from this spacious self-contained ground floor apartment in a Victorian house opposite the beach. The large sitting room is big enough to house the whole family and all their presents on Christmas morning, whilst the dining room is big enough to accommodate all for a Christmas feast. If you fancy spending Christmas day doing something a little different, then why not hire a beach hut for your stay! Hire Thalassa and start the day by watching the famous Christmas Day swim, tuck into turkey sandwiches for lunch and watch the sunset over the sea before heading back to your holiday home. How about snuggling up this Christmas in your very own lodge with hot tub? 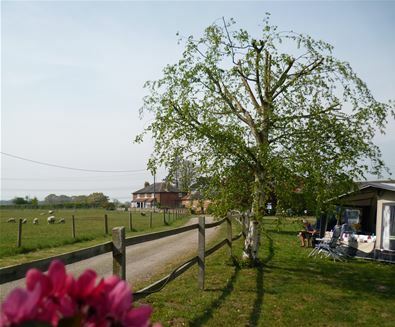 Or opening those Christmas gifts whilst looking out over the beautiful Suffolk countryside? 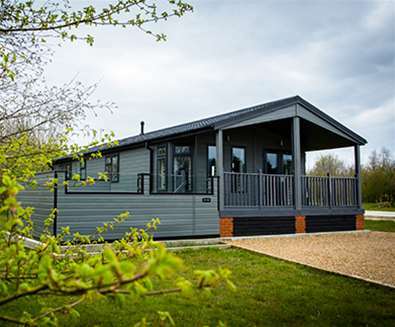 A Christmas stay at High Lodge Leisure is perfect for that festive getaway, with the lodges being a home from home with open plan living, dining & kitchen areas, 1-3 bedrooms, private verandas and some with private outdoor hot tubs to sip those Christmas morning bubbles in style! Whether you opt for a traditional Lakeview Lodge, Luxury Waters Edge with private hot tub or Autograph Clay Wood Lodge with private hot tub and all the extra special touches like fresh milk, homemade fudge and dressing robes, all contain everything you need for your festive break including full-size kitchens with all the facilities and equipment to cook up that Christmas dinner. 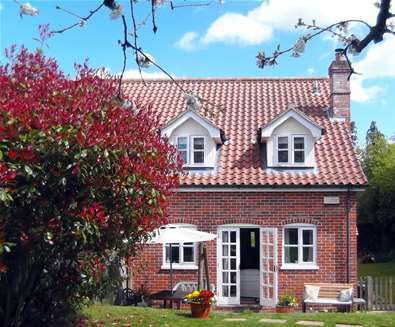 Choose from three luxury cottages and three studios at Mollett's Farm near Saxmundham; wake up and feed the chickens before heading out on a refreshing Christmas morning walk in the surrounding countryside. 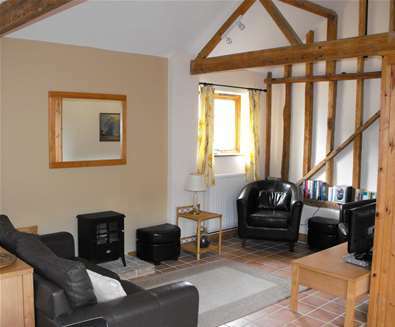 The cottages sleep 2 persons and 4 persons and also allow a well-behaved dog to join you for your Christmas celebrations. The three studios are accessible; ensuring Christmas break is available to all. After a few days relaxing, eating too much and watching Christmas films take a short drive to Aldeburgh to visit the pubs, restaurants and beach. For more information and to book, visit molletts.com, email bookings@molletts.com or call 01728 604547. 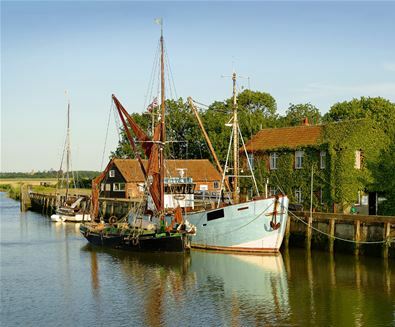 Stay in one of Suffolk's most iconic villages and spend Christmas in one of the holiday cottages at Snape Maltings. If you book for a week's stay from Friday 21st December, then head to the Christmas Farmers Market on Saturday 22nd. Here you will be able to buy everything you need for your Christmas Day breakfast and Lunch and Boxing Day buffet. After filling your basket with Suffolk's fine fayre, pay a visit to the shops and food hall to buy your Christmas presents; with everything on offer from homewares and soft furnishings, art, clothing, jewellery, stationery, books, children's toys and more. Come Christmas morning, you can savour the serene landscape of water, sunlit reed beds and open expanses that surrounds the Maltings and head out for a walk across the Alde Estuary. 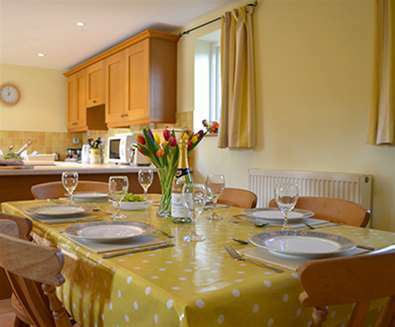 There are a range of properties available sleeping 4 - 10 people (subject to availability) so you can decide whether to have a quiet Christmas or a busy one with family or friends. Southwold is a charming place to spend the festive season, whether you're a couple looking to get away for a few days of relaxation or a family excitedly planning a Christmas getaway. 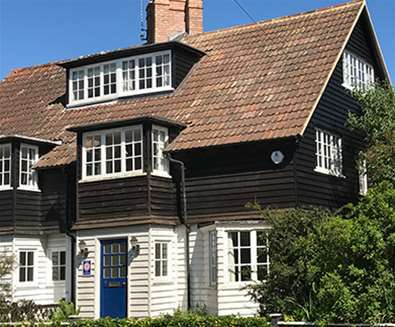 Solely Southwold is a collection of unique properties available for hire this Christmas; East Lodge on East Street boasts a 1st and 2nd floor flat each with sea views, perfect for a small family or a larger family of 11 when hiring both flats. 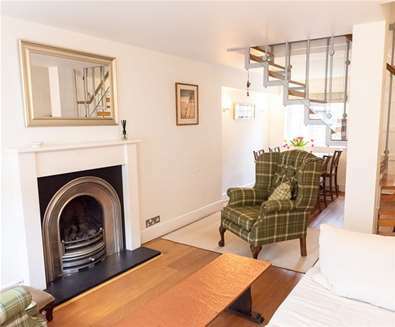 Sleeping 6, Happy Cottage on Lorne Road is a charming period cottage with cosy living with wood burning stove. There's a decent sized kitchen but no dining room, however, you're just a stroll away from a selection of restaurants and hotels all serving Christmas Dinner. Alternatively, If you want to recharge your batteries this December, then you might prefer 58 Victoria Street; a cosy cottage close to sea and with views of the Lighthouse. 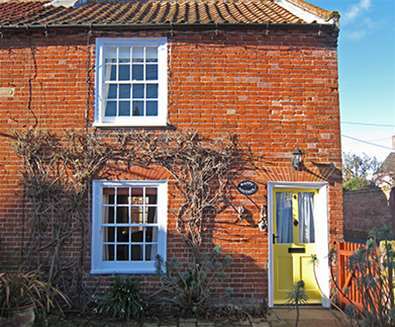 Suffolk Coastal Cottages feature a range of country cottages in some of The Suffolk Coast's prettiest villages. 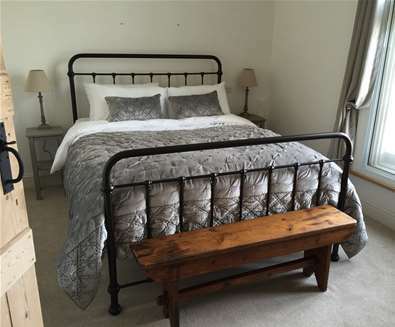 Sleeping 4, Lorne Cottage is situated in the quiet village of Walberswick near Southwold next to the church, so you can enjoy the Crib Service on Christmas Eve and the Eucharist Service on Christmas morning. There's an open plan kitchen/dining room, (plenty big enough for the turkey and trimmings!) 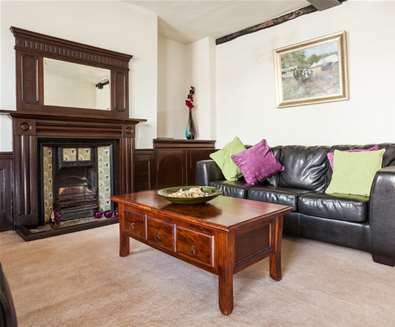 and living room with woodburning stove; perfect for roasting chestnuts! If you'd prefer a quiet Christmas getting away from it all, Little Furrows in Wenhaston is a cosy annexe with kitchen, large double bedroom and living room or for a raucous family celebration, book 8 and 9 Hill Cottages in Bramfield. Each sleeps 4 and are packed with original features such as open fires and beams - the perfect setting for your Christmas tree. For more information and to book, visit www.suffolkcoastalcottages.co.uk/, email bookings@suffolkcoastalcottages.co.uk or call 01502 478078. 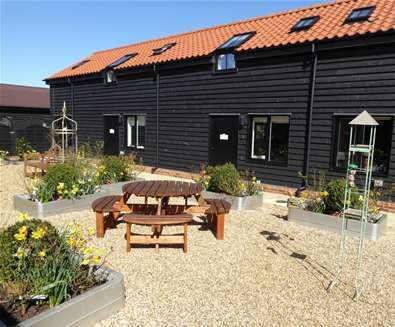 Located in the Waveney Valley on a family farm, School Farm Cottages are a collection of converted traditional farm buildings, each tastefully converted and boasting exposed beams and old brickwork. North Cottage and Swan Cottage are both available for the Christmas holidays; one with two bedrooms and the other with one bedroom, or why not hire both and have them combined to form a three bedroom cottage for an idyllic Christmas with family or friends. After you've enjoyed your Christmas day feast, children can escape to the games room with pool table, tennis table and table football, plus Christmas tree of course! You can kick-start 2019 in style too, as all of the cottages (4 in total) are available for the New Year period. 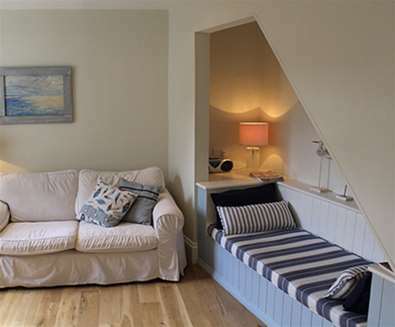 The cottages can accommodate 12 people in total or up to 20 if sofa beds are used! For more information and to book, visit www.schoolfarmcottages.com/ or call 01986 798844. Located right on the beach at Aldeburgh, you can wake up to panoramic views of the sea come Christmas morning with a stay at The Brudenell. With their Christmas package, everything is taken care of so you can sit back, relax and enjoy lots of festive fun with your loved ones! But be sure you pack your woollies and wellies for scenic walks along the beach or coastal paths! Your three-day package starts on Christmas Eve with tea, scones and a glass of mulled wine served in the lounge and later that evening, a delicious 3-course dinner in the restaurant. On Christmas morning, start your day with a Suffolk breakfast or perhaps something lighter for those saving their appetite for lunch, as there is a 7-course banquet for your Christmas Lunch. After lunch, you can test your knowledge at the Christmas Quiz and if you still have room, enjoy a carved buffet dinner. Boxing Day celebrations kick off with a hearty Suffolk breakfast and afterwards, enjoy some seaside air and watch brave souls descend into the North Sea for the traditional Boxing Day swim! If you've got room lunch is then served as well as dinner later that evening. Spend Christmas on Ipswich's historic Waterfront with a stay at The Merchant House over the festive period. Built in 1636, this self-catering accommodation can sleep up to 14 people and has been beautifully restored, retaining its charm and character - the perfect backdrop for your Christmas decorations and celebration. After you've opened your presents, you can prepare your Christmas dinner in the large kitchen and sit down at the big table with the whole family in the dining room. Afterwards snuggle up in front of one of the open fires in the sitting room to watch Christmas films. You're ideally situated here for hitting the sales on Boxing Day too, with High Street shops and restaurants within walking distance. 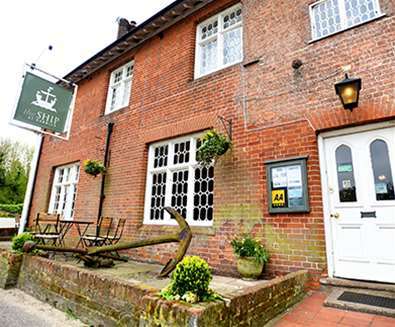 Stay in one of the cosy bedrooms at The Ship at Dunwich and spend your Christmas holiday days enjoying the beautiful winter countryside and coastline, before returning to crackling fires and festive treats. Arriving on Christmas Eve you will be treated to homemade mince pies and mulled wine to get you in the Christmas spirit, followed by dinner in the restaurant. Christmas Day starts with breakfast, after which you can head out for a winter walk along the beach before heading back for a traditional Christmas Day lunch a few Christmas games. If you find yourself feeling peckish later, the kitchen will be laying on a delicious buffet too. Boxing Day kicks off with a hearty breakfast, with an evening dinner being served later to finish. If you're needing a little rest and relaxation before the big day, The Ship is also offering 50% off stays this winter! 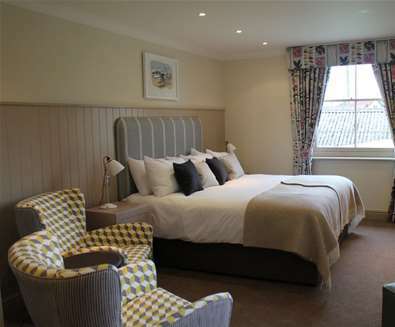 If you want to truly indulge this Christmas, then book a 3-day stay at The Swan Southwold. 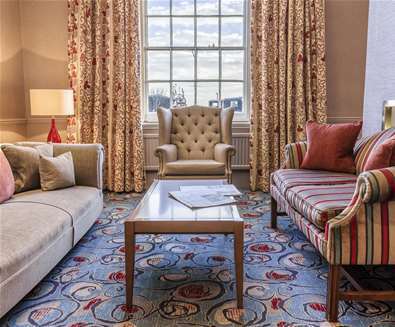 This iconic hotel is located on the town's Market Square and oozes style and charm. Start your celebrations on Christmas Eve with a glass of mulled wine or hot chocolate upon arrival. If you've still got some Christmas shopping to do, pop out into the town where you will find Collen & Clare, a fabulous boutique which is bound to have something for the man or woman in your life. Return to the hotel for a festive Afternoon Tea in the Drawing Room and in the evening, enjoy a mouthwatering 3-course meal paired perfectly with wines in the Still Room Restaurant. Return to your room where you’ll discover The Swan’s team of resident elves have been busy! On Christmas morning, wake up and discover a gift waiting for you outside your door and enjoy breakfast in bed or downstairs in the restaurant. Christmas dinner is a mouth-watering 4-course lunch with all the trimmings in the Still Room and if you've still got room, you can tuck into the evening buffet served with Adnams Champagne and festive drinks. On Boxing Day, enjoy a Full English breakfast and spend the day visiting a few of the town's many pubs before taking a walk along the beach and back to the hotel in time for dinner and an evening of jazz and acoustic music ahead, accompanied by a glass of Champagne. For more information and to book, visit theswansouthwold.co.uk/offer/christmas-at-the-swan-southwold/ email theswan@adnams.co.uk or call 01502 722186. 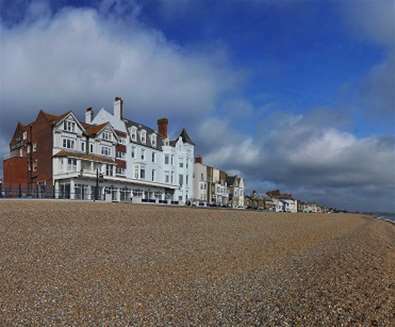 This iconic coastal hotel in Aldeburgh is perfect for those wanting a cosy retreat come Christmas Day. The 3-day festive break starts on Christmas Eve witth festive tea and glass of mulled wine. After a wander around the town for last-munute Christmas gifts, join fellow guests in the lounge for a glass of fizz, followed by a superb 3-course dinner in the Brasserie. On Christmas morning, there's a Suffolk breakfast and glass of Bucks Fizz on offer, followed by a traditional Christmas Day lunch with all the trimmings. 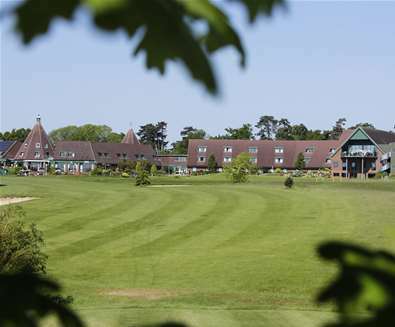 Take the afternoon to relax or enjoy a refreshing walk on the beach, and arrive back at the hotel in time for a delicious buffet dinner and quiz. On Boxing Day, there's a leisurely breakfast followed by a 3-course lunch, after which you can take in the seaside air or take a stroll around Aldeburgh. If you've still got room, tuck into a buffet dinner with entertainment to finish your Christmas break. 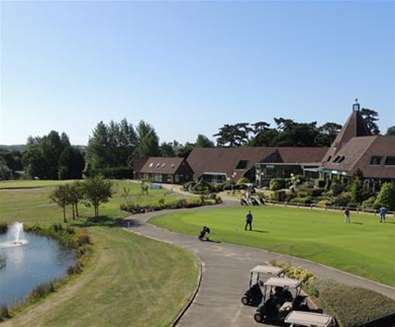 If you're a golf lover, then where better to spend Christmas than at Ufford Park Hotel, Golf and Spa. Arrive on Christmas Eve and after a round of golf, sit down to a festive afternoon tea. Relax in the spa and pool and sit down in the bar with a tipple to end the night. On Christmas morning, wake up and tee off on the 18 hole, par 71, award-winning golf course set in 120-acres of undulating parkland before tucking into a delicious 3-course Christmas Day Lunch. On Boxing Day, relax in the pool or take in the fresh air with another round of golf, working up an appetite for a hearty Boxing Day lunch ofollowed by a glass of fizz or your favourite spirit in the Deben Bar. 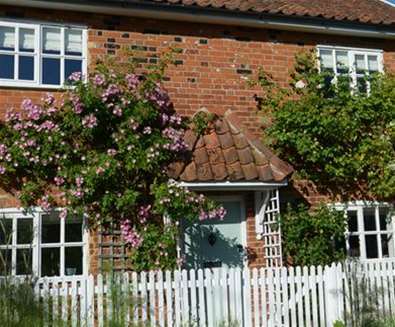 Set in an old orchard in the village of Kelsale in the Suffolk countryside, you can snuggle up and enjoy a cosy Christmas at Willow Tree Cottage B&B. Sleeping two in a comfy double bedroom, you can enjoy the quiet company of the resident woodpeckers, pheasants and deer during a truly relaxing festive getaway. 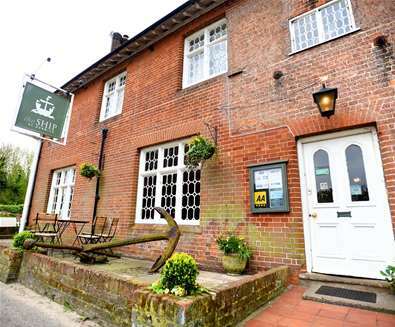 On Christmas morning, the owners will serve you a delicious breakfast and the Cottage is just 3 miles from Snape Maltings with plenty of pubs and restaurants where you can tuck into Christmas dinner. That evening, snuggle up in your room and enjoy the complimentary bottle of wine provided. RSPB Snape is also nearby and there's a range of footpaths and trails for you to explore come Boxing Day morning. For more information and to book, visit www.willowtreecottage.me.uk/ or call 01728 602161. 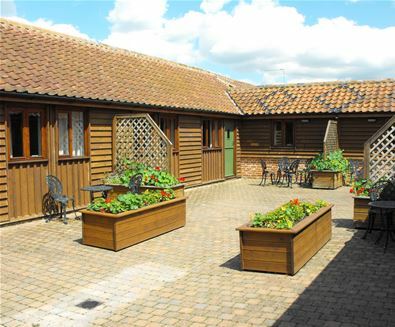 The four converted stables at Wissett Farm are set on a 300-acre farm in a quiet village just a few miles from Halesworth. Situated around a courtyard, the two available stables are the ideal place for friends and families to get together to celebrate the festive season. 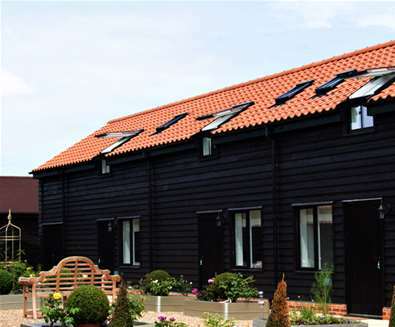 Hartopp sleeps two in a kingsize or twin room, and features an open plan living room which steps out into the courtyard garden whilst Fleetwood, which is fully accessible, has double and twin bedrooms sleeping 4. 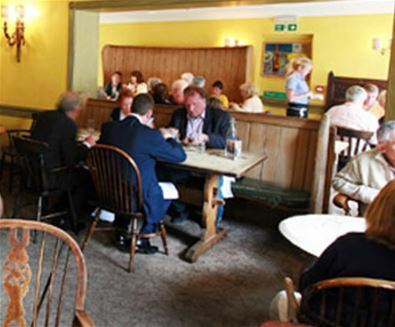 The village pub is just a short walk away, so you can pop in for a drink after your Christmas day walk, whilst the town of Halesworth is a few miles away and boasts a selection of pubs and restaurants for you to dine in, should you fancy putting your feet up and not cooking this Christmas.